Hamster Club :: Letters + feedback about our hamster club and hamster book! Letters + feedback about our hamster club and hamster book! We would like to thank Maria Borg from Birkirkara for writing to ‘The Times’, 'In-Nazzjon', 'The Malta Independent on Sunday', 'Il-Gens', 'Illum, etc to thank us for the service we provide. Thanks, it is very much appreciated. 3 of the letters which were featured in the newsletters are also featured online here, here, and here. Also, below you may find some comments from hamster club visitors that bought the ‘Hamster Club Guide Book’. 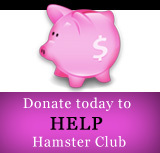 Allison Z, "Dear Editors of Hamster Club,Thank you very much for the newsletter! I am very happy to read about the information and see the images of hamsters. My Syrian hamster, "Noodles" looks exactly like the one on the book. Which, if I may say, is the perfect picture for a wonderful book! Not only, but I also enjoyed playing the Hamster Club games: Hit the Grinch, Hamster Quiz, and my personal favourite...the Hamster Memory Game. LOVE IT! 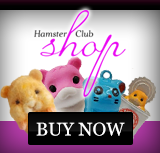 The creators of the site should make some more...it would visitors and me hamsterifically happy! THANK YOU ALL FOR YOUR HARD WORK!"